There is no better way to display museum, training, and catalog items on the internet! VR below digitized from video for best combination of quality and economy. VR objects can also be created on conventional film with higher quality and much greater cost for higher-end applications. The Latest QuickTime Plugin is recommended for best viewing results. Click Here for viewing instructions if you're unfamiliar with VR. Things looking dark to you? 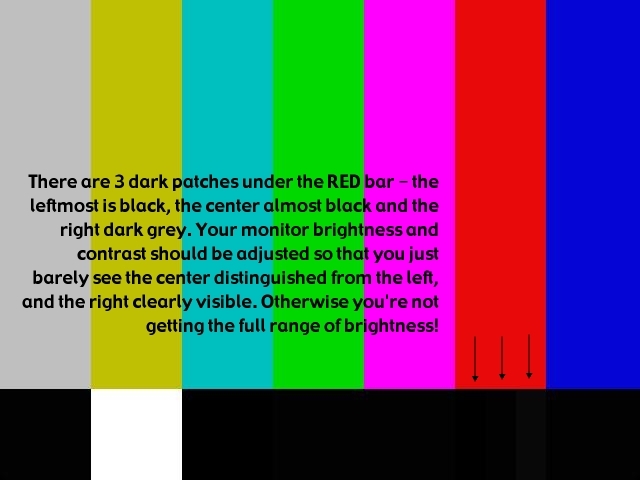 Click here to properly adjust your monitor. Dozens More QuickTime VR Movies - Unedited "Fashion" Shoot Examples! CLICK HERE! QuickTime VR format. Movie size 240 by 300 pixels, 148k. Actual size of display case is approximately 55x23x40cm. QuickTime VR format. Movie size 220 by 220 pixels, 282k. Actual size of plate is approximately 22cm in diameter. QuickTime VR format. Movie size 220 by 220 pixels, 385k. QuickTime VR format. Movie size 200 by 270 pixels, 379k. Actual size of chair is approximately 108cm tall. QuickTime VR format, movie size 270 by 400 pixels, 662k. QuickTime VR format, movie size 200 by 200 pixels, 273k. Actual size of crystal ball is approximately 7cm across. QuickTime VR format, movie size 200 by 200 pixels, 215k. Actual size of sculpture approximately 6cm tall. QuickTime VR format, movie size 200 by 400 pixels, 495k. Actual size of sculpture is approximately 6cm tall. QuickTime VR format, movie size 280 by 220 pixels, 495k. Actual size of piece is approximately 8.5cm tall. (right) Object VR of embroidered pillow by Make It Sew! QuickTime VR format, movie size 220 by 220 pixels, 333k. Actual size of piece is approximately 35cm wide. QuickTime VR format, movie size 200x250 pixels, 384k. Actual size of carton is approximately 11cm tall. QuickTime VR format, Movie size 176 by 80 pixels, 237k. QuickTime VR format, movie size 220 by 220 pixels, 386k. Actual size of piece is approximately 8cm tall. QuickTime VR format, movie size 300 by 220 pixels, 415k. Actual size of piece is approximately 11cm tall. QuickTime VR format, movie size 240 by 220 pixels, 410k. Actual size of pieces range from approximately 3 to 4.5cm tall. QuickTime VR format, movie size 200x250 pixels, 398k.